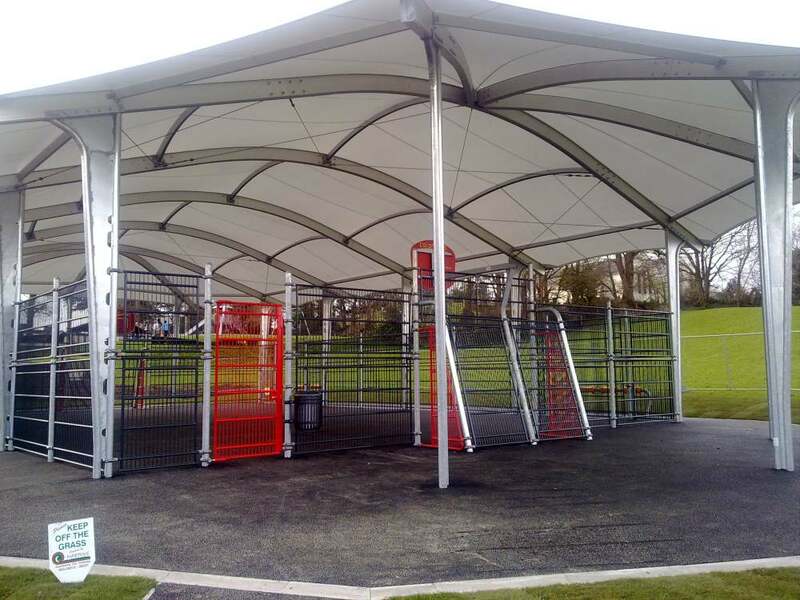 Product Specification: This all weather multi-sport unit encourages physical exercise 365 days a year. The Color’ado covered unit comprises of a steel aluminium roof frame with a stretched textile membrane. This translucent cover ensures natural lighting and ventilation, and with its rounded, gentle shapes, it allows natural rainwater to run off. The fabric is also 100% recyclable. The featured image is a 23m x 13m MUGA with a tarmac surface (alternative surfacing are available). This MUGA caters for both football and basketball ball sports.